If you're looking for absolute privacy and a little luxury for your next vacation, a rental with an amazing pool is your best bet. From tropical getaways to urban lofts, a pool fits into any setting and can be the ultimate break from a long day of activities. Take a look at our coolest pools and have fun planning your next watery vacation! 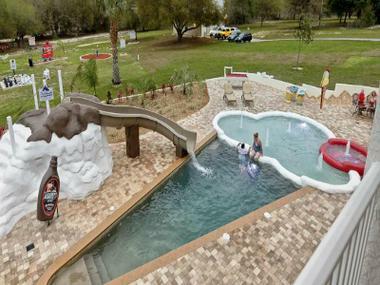 Your kids will LOVE this super fun ice cream shaped pool!